Medium is a site where you can share your writing with more sophisticated and dedicated readers than you might find on other social media platforms such as Twitter or Facebook. If you like, it is a social network, a little like Twitter in its ease of connecting with Medium users, but it is for long-form writing. I have been using Medium for some time now, and my general impression is that it is beneficial in promoting my author brand, as well as for cross-promoting my blogs and articles. It takes very little time to set up your Medium account, take a quick tour and read the FAQs, and then to get your first article up. Your content on Medium should be long-form articles that are highly informative. It is not a publishing platform that is suited to short and obvious promotional blog posts. But there are a few things I have learned about Medium, which might help you get a head start on getting the best results from your writing on Medium. Like most sites where you want to grab attention, posts on Medium need an image. This is absolutely vital. Preferably use an original image, as copying an image from Google Images is likely to get you an image used by thousands of others, and you may infringe copyright. You don’t need to go out taking photos, though. I suggest Canva, a free online app for creating original images, which I used to create the image at the beginning of this post. For Medium, make sure you use large images of at least 900px wide, as bigger images attract more attention. One of the key features of Medium is that you can import articles directly from your blog. It takes only a couple of minutes to import and then possibly make a few edits before you hit publish. In my case, I have not seen any SEO problems arising from publishing my existing articles on Medium. However, I often edit, change or add to my articles before publishing on Medium, as Medium readers are a different audience to those who find my blog via Google Search or social media. The biggest factor the consider when publishing on Medium is the quality of the article. A great article of a good length and well-written can only do your author brand a lot of good because people do actually read on this platform. Medium makes it easy to share your story for those who have a Twitter account. When you register, all your Twitter followers who are using Medium will automatically follow you, so you will start with a solid following on Medium. My tip is to follow back anyone who subsequently follows you on Medium, as this helps build your following. Also, reply and engage with readers who comment on your articles as this is by a long way one of the best ways to build your author brand. Medium is very definitely not a place to hard sell your books, but as I said, it is a great place to work on your building your author image and sharing your blog posts. You can also add a byline at the end of your articles on Medium, and place an embedded link to your website or blog. I use two links in my byline and get reasonable traffic to my website and blog from these links. You can view one of my articles on Medium to see how I use my ending byline. Don’t expect millions of readers as soon as you start writing on Medium, but after a few weeks, you should start to see a steady flow of new readers for your Medium stories. But you can get lucky, as has happened to me a few times now. If the Medium algorithm selects one of your articles for the Medium homepage or Editor’s Picks, expect a LOT of readers. I can almost hear you saying that you need a new social media platform like a hole in the head. But I can honestly say that Medium is very much worth the little extra time investment to boost your author and writer brand. You can use the import facility from your blog to save a lot of time, or if you find reasonable success on Medium, invest a little more time in writing original articles from time to time to try to engage new readers. Oh, by the way. You are of course very welcome to follow me on Medium! Can You Self-Publish A Recipe Book Or Cookbook? Thanks for your help on this. I have been on other sites for years writing articles and now books. But I didn’t even know about Medium. 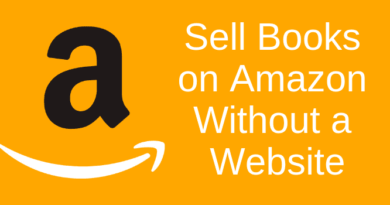 Why Do People Try To Sell Books On Amazon At Crazy Prices?